NEW ROCHELLE, NY (June 12, 2015) Every year since 2002, the International Labor Organization facilitates World Day Against Child Labor on June 12 to focus attention on the global extent of child labor and the action and efforts needed to eliminate it. The day brings together governments and employers, workers and civil society organizations as well as millions of people from around the world to highlight the plight of child laborers. Each World Day Against Child Labor focuses on a particular theme with this year’s theme being, “No to Child Labor, Yes to Quality Education.” It will focus on free, compulsory and quality education for all children to at least the minimum age for admission to employment as well as action to reach those presently in child labor including new efforts to ensure that national policies on child labor and education are consistent and effective and policies that ensure access to quality education and investment in the teaching profession are in place. The International Labor Organization’s World Report on Child Labour 2015: Paving the way to decent work for young people notes that 168 million children are engaged in illegal forms of labor, mostly in the informal economy and agriculture. Eighty-five million of these children work in severely hazardous conditions. Several million more are victims of forced labor, commercial sexual exploitation and other illicit activities. According to the report, child labor is associated with lower educational attainment and future jobs that fail to meet basic decent work criteria. Those who leave school early are less likely to secure stable jobs and are at greater risk of chronic unemployment and poverty. The majority of those who have left school early, particularly between the ages of 15 and 17, are engaged in work that is hazardous and classified as the worst forms of child labor. In honor of World Day Against Child Labor 2015, Salesian Missions is proud to highlight a few of the Salesian programs around the globe that help to eliminate child labor through quality education. The university students enjoy a setting that allows them to finish their degrees in higher education in a stable environment while learning how to live independently. In addition to academic classes, the young women and girls at the home learn skills in communication and conflict management. Additional classes in dance, gymnastics and crafts are provided in the evenings and on weekends. Most recently, the organization offered a three-week technology workshop to teach the girls basic computer skills including typing, word processing and drawing. India has the largest number of child laborers under the age of 14 in the world, according to UNICEF. Many are engaged in dangerous occupations and live on the streets. As part of Operation Smile, a month long program initiated by India’s Home Ministry, more than 200 children engaged in child labor in Hyderabad, the capital of the southern Indian state of Telangana, were rescued and placed with Salesian missionaries at Don Bosco Navajeevan, a home for street and working children. According to Salesian reports, the children were rescued by city police in an apartment building where they were engaged in child labor for the bangle manufacturing industry. The children were being paid very low wages, forced to work long hours and forbidden from leaving their place of work. Further, their work exposed them to chemicals and hazardous working conditions. Salesian missionaries living and working in India place special emphasis on rescuing and rehabilitating children engaged in child labor. Once youth are brought to Salesian-run centers they receive shelter, food and clothing. Salesian programs for the rescued youth focus on education and life skills training to help them break the cycle of poverty in order to lead productive lives free from abuse and forced labor. In addition, supplementary classes cater to those who have missed school and have fallen behind academically. This necessary extra assistance enables them to enter back into mainstream schools. The Bosco Children Project in Ethiopia’s capital city, Addis Ababa, has established a new orientation program called “Come and See” which serves close to 30 boys who are living on the streets. Every morning the boys are picked up by bus and taken to the center where they work, play sports and attend classes in reading and writing. They also receive life skills training on social morality, civic responsibility, hygiene and professional ethics. In the evening, the boys return to the streets. The goal is to provide street children with enough information and support to help them make the decision to enroll in the three year regular education course offered by the program. If a boy is ready to enter the three-year course, he is provided a place to live in a Salesian-run youth hostel. 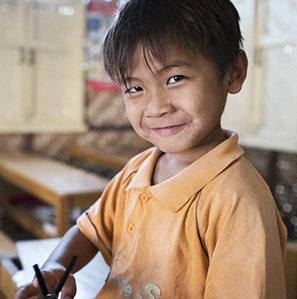 His basic needs are provided for while he attends school and learns a trade. Salesian missionaries operating the Bosco Children Project also provide workforce development services to help students with the transition from the classroom into stable employment. Some boys choose to continue on with their studies at university. For those who have families, missionaries offer assistance reconnecting them with their families and settling them into school in their home villages. 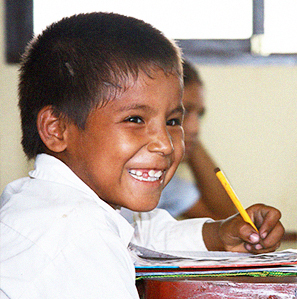 When needed, financial assistance is offered to enable boys to continue their education. The Salesian-run Bosco Boys program provides education and technical skills training to former street children in Nairobi, Kenya and is currently serving more than 600 boys and girls in primary and secondary schools and universities. The program also operates two nursery schools in the slums of Kariua and Kuwinda. Youth living in Nairobi’s slums are at-risk for exploitation, forced labor and other abuses. Few attend the later stages of school as compared to those living in Kenya’s more rural areas. The few schools serving this disadvantaged community are beyond the financial means of most families. UNICEF noted that while Kenya has free and compulsory education, youth in poverty still cannot afford to attend school resulting in close to 90 percent of children from poor households failing to complete their basic education. The Bosco Boys program provides education and workforce development opportunities. Students in the program who complete their primary education are assisted with secondary education or are advised to choose technical training in sister institutions. The secondary education is most often provided at Don Bosco Technical Secondary School, Embu, but can also be at another school close to a student’s home where they can be easily monitored. In addition to the education provided, youth in the program are given professional counseling to help them overcome any difficulties they may face in their lives. The program also gives youth the tools to develop a positive healthy outlook on life and the education and training necessary to find stable employment.